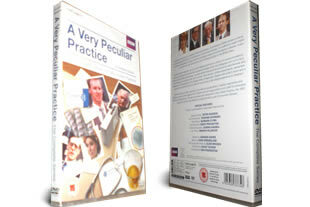 A Very Peculiar Practice DVD box set. The complete series on 5 dvd's. DELIVERED FREE IN THE UK. Stephen Daker played by Peter Davison is excited about he’s new job at a Medical Centre based in a sixties campus looking University. He is surprised to find it could one of the worst run medical practices in the British Isles. Written by Andrew Davies this is a surreal light hearted comedy look at medical malpractice, sexual politics and rivalry. 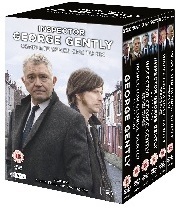 This five dvd box set includes both series and the sequel 1992 film A Very Polish Practice.